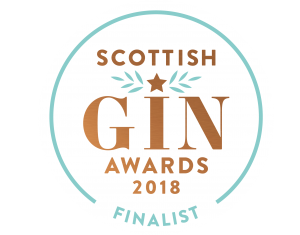 We are delighted to announce that we have been shortlisted as a finalist in three categories in this years Scottish Gin awards. A huge success for the team, coming a very short eight weeks after we launched our brand. We are finalists in the category of Best Newcomer, Best Navy Strength Gin of the year and Best Speciality Gin of the year with our Hibiscus Estate Edition. Kinrara’s highland distillery is nestled in 12,000 acres of Cairngorm National Park, just outside Aviemore. One of Scotland’s newest micro distilleries, we make unique highland dry gins and liqueurs infused with local flora and berries. As we grow, we will also craft single malt whisky and Scottish rums. The centuries old Cairngorm estate was founded by Lady Jane Gordon, beautiful socialite and co-creator of the famous Gordon Highlanders. Known as the ‘Empress of fashion’, she was born during Britain’s notorious gin craze, and later held lavish parties and soirée evenings where up and coming artists were invited to perform. It was in her drawing room that Rabbie Burns first read his poetry to Edinburgh society. The estate offers a stunning range of flora and berries that we forage for our gins and mix with carefully sourced botanicals. This allows us to create our unique range of premium highland gins. Our first gins off the stills will be our Kinrara Highland dry gin, and a selection of special Estate Editions which will launch in 2018. Kinrara distillery prides itself on creating a handcrafted small batch spirit. From the distillation of the gin right down to the bottling, everything is lovingly done by hand, by our passionate highland team.